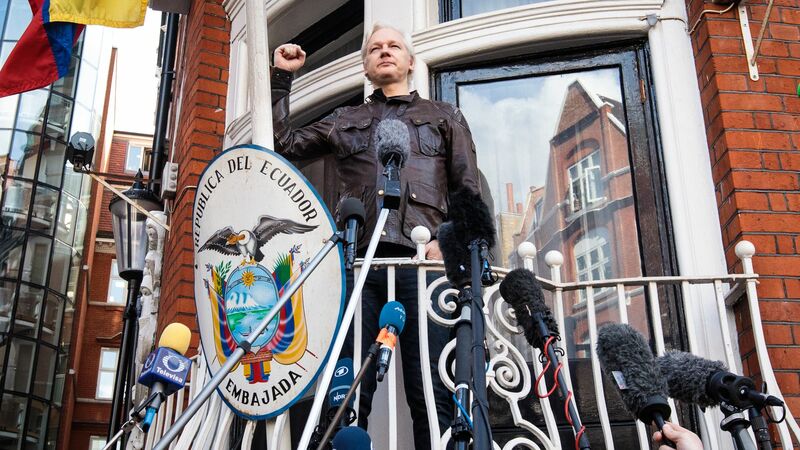 Wikileaks founder Julian Assange is facing expulsion from the Ecuadorean Embassy in London that he's called home for the past six years, the Times reports. Why it matters: Assange is wanted by London police for breaching bail, per the Times, and his arrest is wanted by the U.S. A source with detailed knowledge of the situation told the Times: "I expect [Assange] to lose his asylum status imminently. ... When this will happen is impossible to say." Ecuador's President Moreno said this week that no one should be in asylum "for too long."